Of those articles posted on Revit Add-ons in September 2016, the announcement of the initial commercial release of the content management system Avail received the most pageviews. Coming in second was a post about the latest release of the Autodesk IFC add-in. Coming in third was an announcement of a sale on the 3Dconnexion SpaceMouse Enterprise and SpaceMouse Enterprise Kit. Sadly, the sale ended on September 30th. Receiving the fourth most pageviews was a post about a new release of Revision Cloud Manager, which always generates a lot of interest. Next up were a couple of aggregation-type posts, the previous What's Hot article and the weekly roundup of new and updated add-ins on the Autodesk App Store for the week of August 14th. And rounding out this month's top performing posts was one about a release of CTC's BIM Batch Suite and a case study on RTV Xporter PRO & HOK. Descriptions are those of the vendors. Avail for Revit – Initial Commercial Release Now Available! We’re pleased to announce that AVAIL is now available! 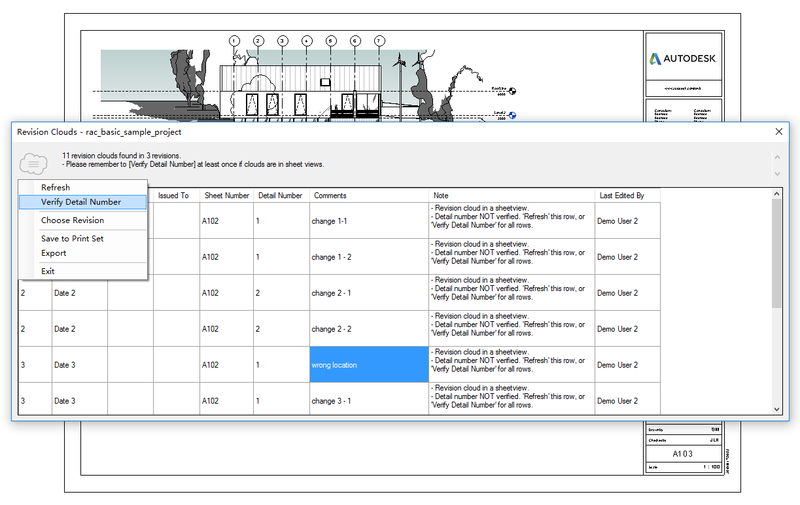 AVAIL is a new, one-of-a-kind content management solution for Revit and all of your visualization assets. 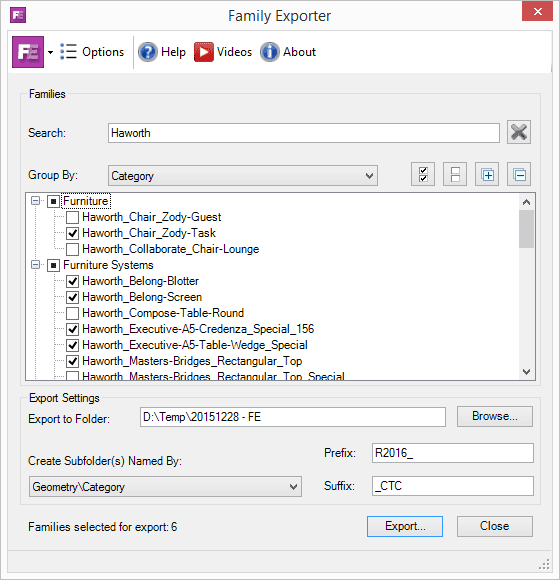 AVAIL helps you organize and retrieve Revit Families, System Families, Drafting Views, Sheets, Schedules, Groups and more across your project teams and entire firm! Read the full story about the initial commercial release of Avail here. Export rooms and areas even if they have improperly closed internal boundaries. Only associate a door or window with one opening, even if the door or window is inserted into multiple walls, as per the IFC standard. Add an API option that allows for always reading in bounding box information, even if the entity has a Body representation. Allow reading in curve information that's not contained in the Axis representation, to allow for wireframe import. Improved support for IFC2x and IFC2x2 files. Read the full story about the latest version of the Autodesk IFC add-in here. you can create and delete clouds and the add-in will update in real-time. the add-in can show the username of last-editor for each cloud, as long as the user has End User Assistant installed and turned on. Save all sheets in the table to a print set. Read the full story about Revision Cloud Manager 1.1.1 here. 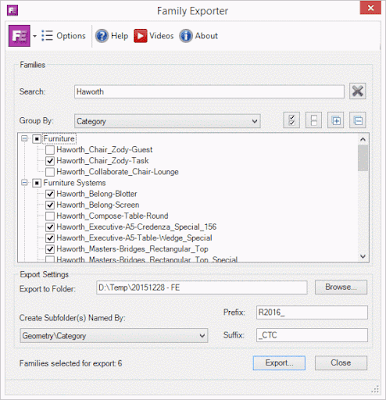 More robust handling of printers and print settings during PDF exports and printing. Read the full story about BIM Batch Suite Version 17.0.3 here. "What we were missing was a way to export and print data in an efficient way. After researching and looking at possibly developing a tool internally, we decided to try out RTV Tools’ Xporter. We worked with the developers at RTV Tools to resolve the issues we were facing and one by one we tackled software roadblocks. "Now that we automate the data, the team is able to come into work in the morning to find their files were processed while they were sleeping. No longer do we have to wait for the latest documents - we can see them in relative real time." Revit Add-ons is ad-supported. Please visit our site and check out the offerings of our outstanding stable of sponsors! RTV Tools Limited (RTV Tools), an Authorized Autodesk® Developer, was founded in Wellington, New Zealand in 2007 by a group of passionate and expert Autodesk® Revit® users with over 60 years combined experience in the Architecture, Engineering and Construction (AEC) industry specializing in Building Information Modelling (BIM) strategies and implementation. RTV Xporter PRO includes revolutionary new Batch and Scheduling functions that bring the ability to create scheduled tasks in Autodesk® Revit® that are executed in a fully autonomous mode, including the starting up of the Autodesk® Revit® application, opening and closing Revit project files, and executing the pre-configured tasks, including Printing and Exporting of files from Autodesk® Revit®. 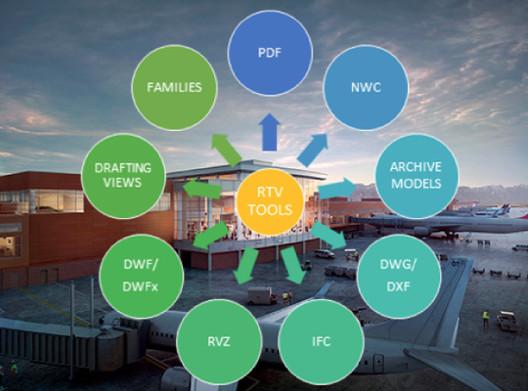 With virtually no setup required, just install and automate!, RTV Xporter PRO is ideal for Architects, Interiors Designers, Engineers, Landscape Architects and Visualization Artists using Autodesk® Revit®.